Today’s 4T Tip is on checking gauge. I cannot lecture much on the importance of gauge because that is one of the biggest things that I still procrastaknit on. 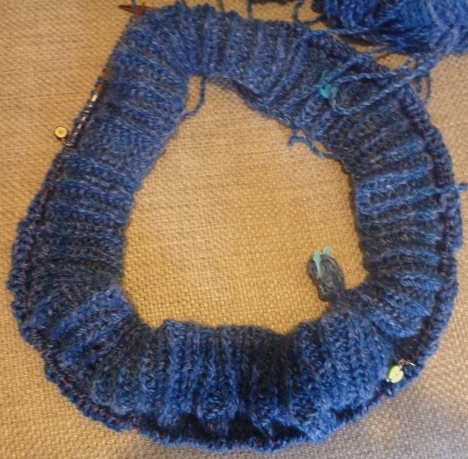 Too many times I have chosen to skip checking gauge and jumped right on ahead into the project. 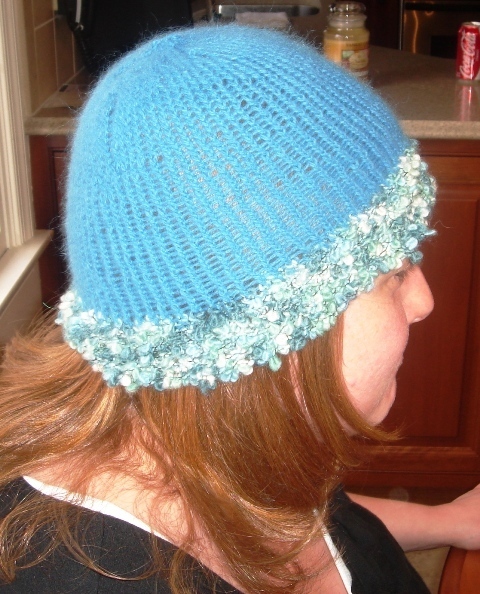 This is a hat pattern that I made back in 2009; the one I gifted to my friend was made with size 6 needles, the one I made for myself was made with size 5 needles because I was using my size 6 on a different project at the time. While I wish I could say this was a rookie mistake, it’s not. 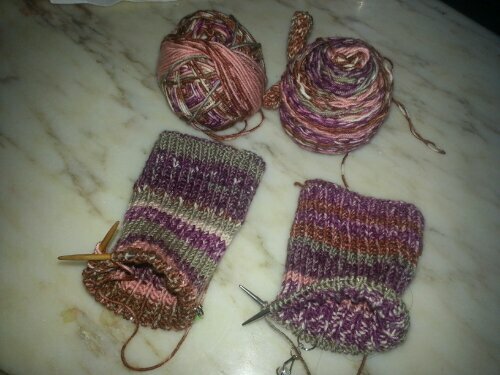 I still make such careless mistakes with my gauge because I am usually so eager to cast on a new project, I decide to throw caution to the wind and just cast-on with a needle size larger since I know I tend to be a tight knitter. 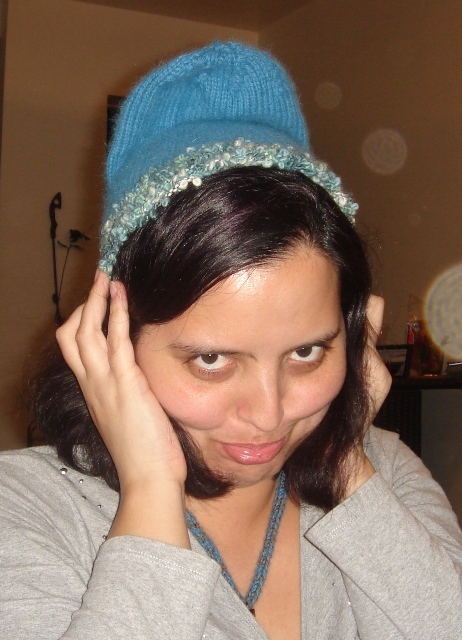 Currently I am working on a double-knit hat that I did not bother to properly check gauge, so now it is large enough to fit over my head as a cowl! Consequently I will be making that project into a purse and will post photos once I finish. 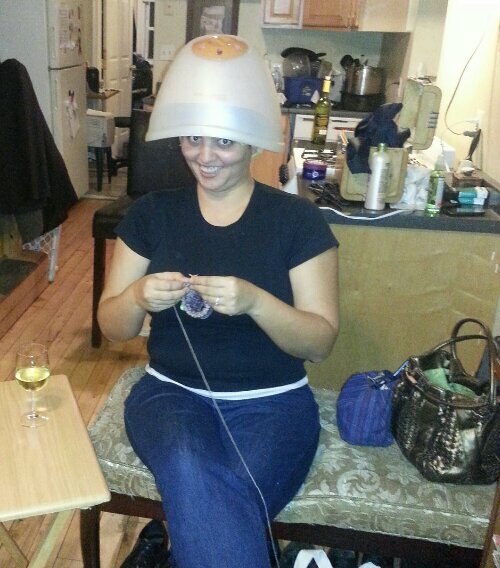 New knitters learn from my mistakes, expert knitters go ahead and laugh. 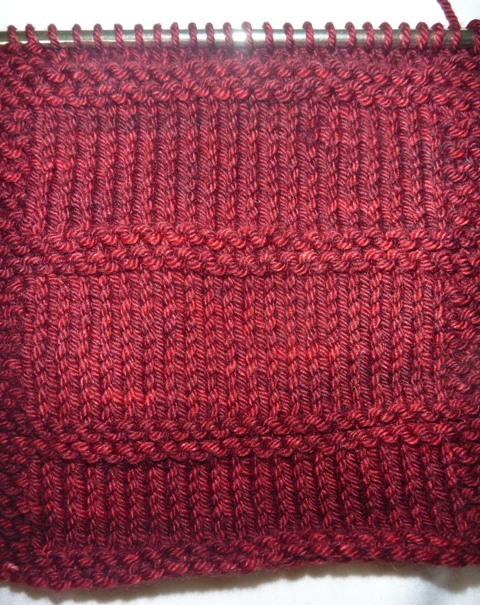 Most patterns give you a gauge in stockinette pattern, I recommend that you add about 6 or 8 extra stitches to the given gauge of the pattern so that you can create a garter stitch border (3 or 4 stitches on either side) which will help your swatch lay flat as you count your stockinette stitches. Keeping with the border idea do a few rows in garter stitch before starting the stockinette portion AND before casting off your swatch. 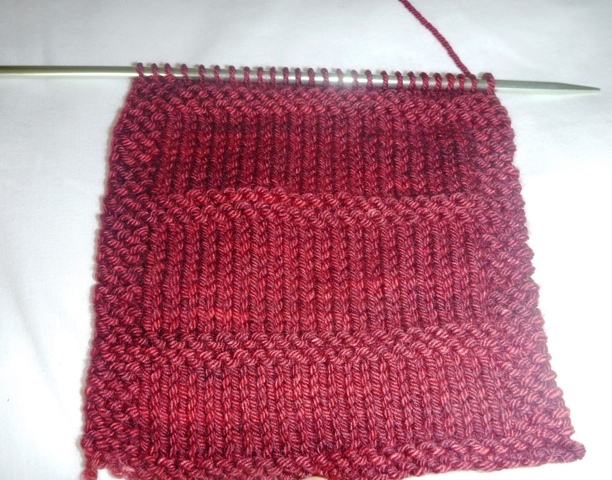 Creating a garter stitch border helps you see where you changed needle sizes. If you find that you have too many stitches per inch, switch to a larger size needles to lessen the number of stitches per inch. 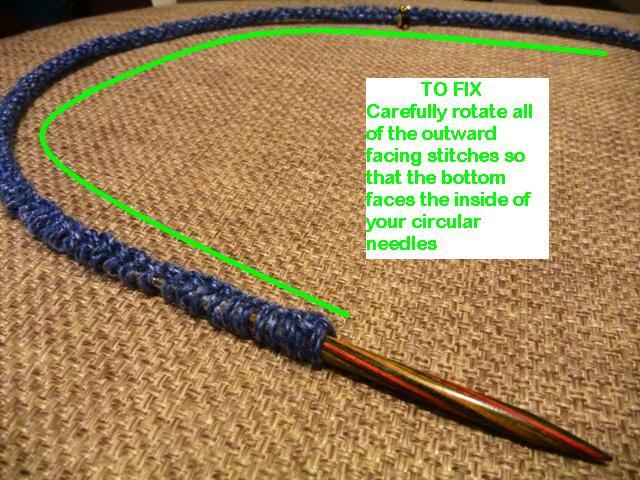 If you have too few stitches per inch, go down a needle size to add more stitches per inch. This is Finding Your Gauge 101, my tip to help you in the process is to knit another 4 rows of of garter before you switch your needle size.so that you create a separation of two different sizes. 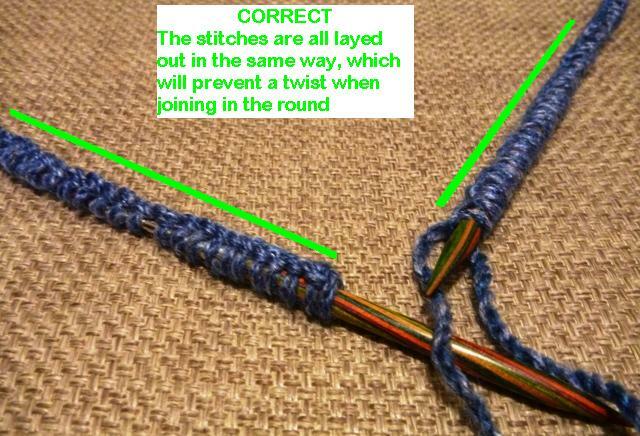 Repeat this process as many times as needed until you have the right number of stitches per inch. Keep changing needles until you have found the right size. 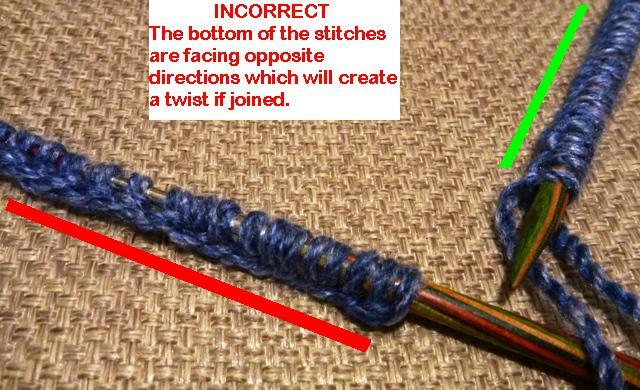 I have come across knitters that didn’t create a divider before changing needle sizes, so they were weren’t sure where the stitches with the smaller needles ended and the ones with the larger needle began. 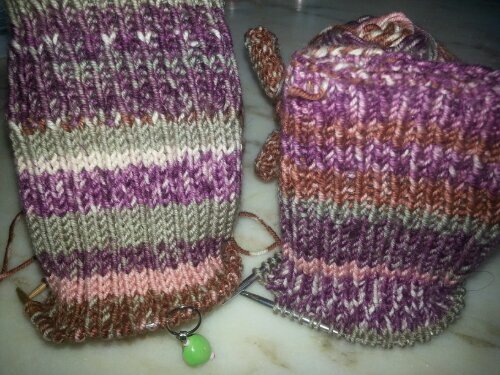 Creating a border helps to differentiate the two without having to cast-on a new swatch. 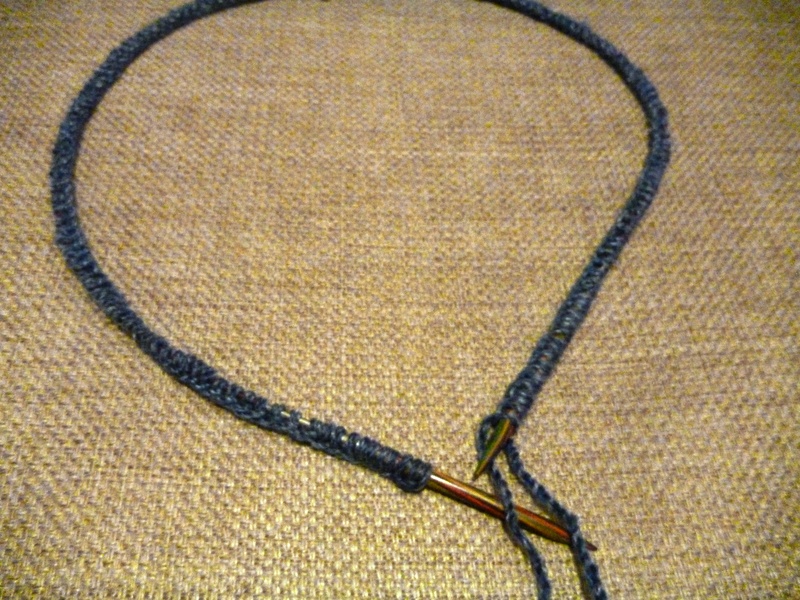 If your gauge is given in garter stitch, just use a different stitch (i.e. seed stitch) for the border.